Looking for the Best GPS Tracker for Dogs? Look no further. Today’s GPS Devices are so intelligent and advanced they can find your pet anywhere. Some you can even communicate through meaning the finder of your pet can quickly ring you to advise they have your pet and you can instantly locate them. Investing in a GPS Tracker can quickly eradicate the stress and upset caused when your pet goes missing. More importantly tracker can help you possibly save your pet’s life. Some of the trackers have a hefty price attached to them but here at Dog Leads and Harnesses we al;ways review the best affordable products on the web. 2 Why Buy The Best GPS Dog Collar Tracking Device? While technology is always adapting and changing, the GPS Dog Collar Tracking Device products all have their own features that makes each of them different and unique. The Tractive GPS Pet Tracker looks most promising. When choosing a pet tracker for your dog, each set of features should be selected carefully by you so that (a) you know how to use the product and (b) your pet finds it comfortable and not irritable. Take a look below at our list of GPS Dog Collar Tracking Device products and reviews to help you choose for yourself. Also works for kids, people, cars, suitcases, etc..
With this tracker you can easily track and find the location of your pet. With its easy setup, this pet tracker makes it one of the simplest yet effective on the market. Over recent years, GPS Tracking Devices have become more and more advanced. When you start thinking GPS Technology couldn’t improve any more, SportDOG changes the game and introduces the amazing TEK Series. The TEK Series 1.0 is a compact and lightweight Handheld Device provides an instant fix on the location and speed of up to 12 dogs up to a distance of 11 km. The Handheld Device has a backlit liquid crystal display, is scalable up to 120 km in diameter, and provides multiple-waypoint capabilities. Both the GPS Collar and Handheld Device are completely waterproof and submersible with the GPS Collar featuring renowned DRYTEK technology. With a 2 hour charge for a minimum of 20 hours continuous use, you’re always on the hunt when you track with TEK. If you are looking for an upgraded version, but a little more costly, then the TEK Series 2.0 is the most advanced GPS Tracker for Dogs. Fully loaded with colour maps that help provide you the location of your dog, or 21 dogs at once. To enable more dogs on the TEK Series 2.0 then you need the TEK-2L-E collars and simply register these to the device. SportDOG ensures that its features prove this is the pinnacle of tracking perfection. The Map Offers a full-screen view of any map data that has been loaded on the Handheld Device. A GPS cursor displays your current location and additional GPS-related information. Use the Wheel to zoom in and out. Customise the map and GPS information from the Map Menu. Geofences let you specify a boundary. Use your Handheld Device to draw a shape on the map and identify it as the active Geofence. You’ll be alerted any time a dog travels through the Geofence boundary based on the sound setting selected on the Settings Screen. The features are amazing and the TEK SEries 1.0 and 2.0 are the most advanced tracking systems available. The biggest issue with these is the cost as they are far more expensive than the other models below, however, they provide much more security and accuracy. 1 in 3 pets go missing in their lifetime…That’s more than 10 million pets a year! What are you doing to prevent this from happening to your dog? The Pod 3 is a GPS tracker and activity monitor for dogs and cats designed to be attached to any size collar. It lets you locate your pet on demand, monitor their activity and record adventures on your smartphone or computer. The new generation Pod 3 now has WiFi, which helps deliver faster positions and offers the ability to locate indoors. The POD3 GPS Dog Collar Tracking Device has some amazing features like Escape Alerts. This allows you to set a boundary so when your pet leaves this boundary you receive an alert. Recording Adventures that your pet takes so you can track all its activity throughout the day whilst your out and about. PLUS Location on Demand, allowing you to locate your pet quickly and efficiency with its high speed connectivity. The PetLovey GPS Dog Collar Tracking Device is a good piece of equipment and used on many different animals including Cats, Dogs and Horses. Alothough not hte most comfortable, this is by far the most stylish as it comes in many different colours and has a superb battery life and wifi speed. Yepzon has said that this is the simplest wearable GPS locator in the world. With Yepzon you can locate people, pets and valuables using your smartphone. Download the Yepzon app, activate the GPS locator with your smartphone, choose a name for your Yepzon device, and locate. Simple! You can share the access with family members, friends or carers. You can connect as many Yepzon’s to your phone as you wish. Yepzon is reliable and durable. Smart technology helps you preserve battery and data. Yepzon represents timeless Nordic design and is also waterproof. Whistle GPS is the most popular selling GPS Pet tracker. Not to be confused with the common microchip, Whistle uses advanced GPS location tracking and the nation’s largest wireless network to help you find your pet wherever they go. Whistle allows you to define a Whistle Zone, a designated safe zone around your home or office and receive on-demand texts or push notifications when your pet leaves that zone. Whistle GPS Pet Tracker notifies you if your pet ever roams from their Whistle zone, a customizable safe area you designate for your home or office, and allows you to pinpoint and track their location directly from your smartphone. Pinpoint your pet’s location and begin a tracking session to find them using the map in the Whistle app. Switch to satellite view or use the standard map settings to easily locate your pet and bring them home safely. Why Buy The Best GPS Dog Collar Tracking Device? There are several reasons why owners of dogs will purchase a GPS Dog Collar tracking device. If you owning hunting / working dogs, these GPS Devices are great for ensuring you know where they are. If you enjoy being outdoors regularly with your dog off the lead, you will always know where your dog is. Ensuring your pets are safe is one of the biggest reasons why anyone should own the best gps tracker for dogs. Ensuring your aware of your dogs location should he escape your garden or the lead, you can easily find and locate your dog. With the sharp increase in technology, GPS tracker for dogs can locate your dog ANYWHERE. Investing in one of the best GPS Dog Collar tracking device can potentially save your dogs life and reduce any stresses along the way. The dog collatr GPS tracking device price range is one of a very wide range and can easily exceed £500 for a device. Should I buy an expensive GPS tracker for dogs? Simple answer is; It’s up to you. 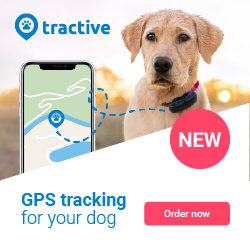 Some of the more inexpensive trackers come with less features and generally a cheaper subscription fee but, if you can find your dog using it, then why does it matter? Searching for the best gps tracker for dogs might sometimes be quite difficult. However, I have taken the degree of difficulty out of this by review the best sellers. There are so many available and you only have to do a general search on Amazon to see the wide variety and price range. The reviewed best gps tracker for dogs above helps you make a simple choice and ensure that you and your dog can be safe at a great price. GPS Tracking Devices are constantly evolving. With the ever increase and need for SMART Technology, these devices are becoming more powerful and expensive as technology becomes more advanced. The reviewed best gps tracker for dogs above are the best on the market at the moment and are very reasonably priced. Tractive GPS Tracker for Dogs has been one of the most successful and popular trackers on the market today. It has also featured as an Amazon Best Seller for quite sometime. Feel free to leave any comments below to advise of any other products you may have tried that you think would be beneficial on this page. But do they work in practice? Reading the reviews you’d think they were all wonderful. We’ve just tried a Kippy Vita. Apart from needing 30mins in the Voda shop to set it up, alas it takes 20-30mins to establish contact between your phone and the device (often saying it’s maybe off, or low battery, or not on network – it was on, fully charged, in the shadow of two big mob aerials). Then it finally makes contact just as the doh]g walk is hakf over, says it now needs to get a GPS position – and the app crashes! Then it all starts again, finally working as we’re driving home, only to say it’s lost GPS position after 5 mins..
I’ve been using Trackimo ever since I had my pet. It’s very reliable and dependable, trust me. Yeah, Trackimo is quite impressive. I’ve tried different trackers but this definitely is the one I’ve been looking for. With its accurate tracking capability, you will no longer worry and be anxious walking your dog into unfamiliar places. Does Trackimo really work? Most of the device on the list has a lot of bad reviews so I am hesitant to purchase one. Yep! I was very much amazed with how Trackimo works. Just try it for yourself Justine. Yes the Trackimo is quite reliable in terms of accuracy in tracking. Not mention its very low monthly fee. I’m using Trackimo after my dog was lost and luckily found her. This tracker is quite very impressive!